Jill Stuart, a 'preppy' favorite of mine is always a guaranteed playful, flirty and refreshing collection every season. The most recent collection revealed a doll-like 'belle de jour' beauty look. The models could be portrayed as dolls, with a gorgeous pale porcelain glow, eyes were bright and defined with intense liner, and lips were perfectly pouty. A matte, peach lip color created an innocent, feminine feel. Colors of the collection included fresh coral and nectar, light mint greens, turquiose and gold. 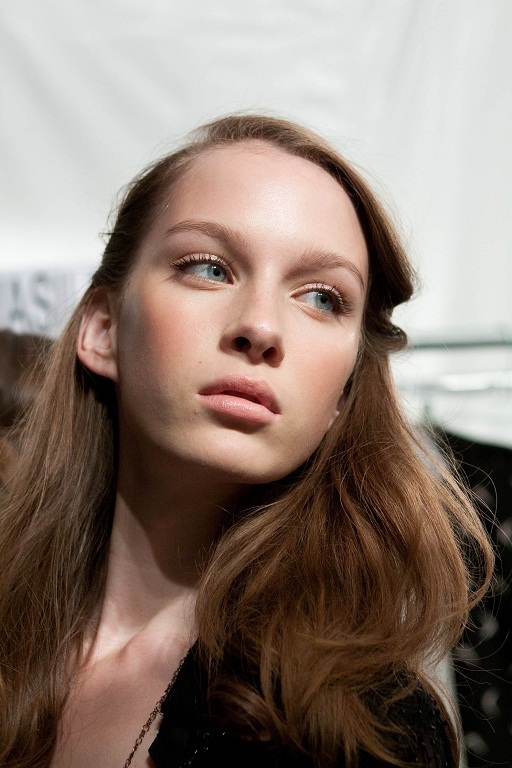 The medium length hair look was created as a tousled, sideswept do, portraying a breezy magicalness. Apply a light to medium coverage foundation or a tinted moisturizer for a natural, dewy look. Line the inside of both the top and bottom of the eyes with a black kohl cream liner. Trace over the liner to soften it. The ombre-hair trend is a two toned lock look we simply love! With countless celebs, like Rachel Bilson, Drew Barrymore, and Sarah Jessica Parker, rockin' this look with ease, it's no wonder this trend is not ending anytime soon. These trendsetters have it right, and the ombre hair trend is the hottest beauty must have now! Most typically, we've seen the medium brown, deep chestnut auburn hair color slowly fade into a light brown, blond hair color. However, that is not always the case. We came across this ombre hair look at Prada's Fall 2012 runway show in Milan. It's an extreme ombre look that goes from blond to black, would you dare to try? This dramatic look is definitely a 'runway' look, but do you think you would be able to pull it off every day? Or would you stick to the more natural hair colors for a more 'believable' look? They say don't believe everything you read, and that's true, but disregard that with this article, because we'll tell you 7 nail myths that you should STOP believing...because they are just not true! Fake nails will ruin your natural nails. A pretty popular myth, yes it is a myth, the application and removal of fake nails has significantly become safe for your natural nail. The biting, picking, chewing and so on and so forth could be a result of damange to the fake nail and your real nail. Next time you go to your nail salon, check out your natural nail after your nail tech takes off your fake nail. Should look healthy, smooth, and no thinner than before. Keep your nail polish in the refigerator to make it last longer. White the coolness of the fridge will slow the thickening of the polish, making sure the polish top is securely fastened will result in the longer lasting nail polish. Make sure you remove all excess paint that dripped from the brush onto the top of the pot. Put your freshly painted, wet nails into ice cold water to dry them faster. WRONG. I hope you don't do this! Polish dries fastest when the solvents in the polish forumla are evaporated. Don't drown them! Put a fan in front of your nails to get the quickest dry. Eating Jell-o makes weak nails stronger. The same with gulping down milk and other calcium products, these won't do a thing to strenghten your nails! Try a balanced diet with extra protein for rock hard nails. File in only one direction. It doesn't matter what direction you file your nails, whether it be up, down, left to right, back and forth, up and down, etc. Avoid all nail products that contain chemicals. Unless you want to avoid ALL products, this is nearly impossible. Think about it...even water has a touch of chemicals in it. Don't necessarily avoid ALL nail products with chemicals in it, but take the time to learn what products you are putting on your nails and go from there to determine whether or not you want to continue to use it. Cutting your cuticles is good for nail health. No, no, no. A recent fact that we learned too, cutting your cuticles can eventually lead to thickened scar-like tissue on your nail. YUCK. Rather than cutting your cuticles, soak your fingertips in warm water, apply a cuticle cream daily, and push back the excess skin. PLUS, here's a fun fact for you! Did you know that cuticle cutting in some states is actually illegally?! Bizzare, right? Bright bold lips can be semi-easy to achieve, but to achieve a long lasting look, that's a whole different story. A pop of color is nice, but if you've tried this trend before, you know from experience that the color fades fast and the intensity disapears into a light tint, almost making the lip color invisible. But fret not! We're going to tell you how to get that beautiful lip color, for more than 2 hours, for more than 4, but for a long lasting 6-8 hours! Make sure your lips are soft and smooth. You can use a gentle lib scub or the tiny bristols from a baby toothbrush to exfoliate. Apply a moisturizing lip balm -- not a gloss. Apply a lip primer to help the color go on smoothly. Primer will help keep your color on throughout the day and helps the color go on evenly. Line your lips with the color you choose to wear. Finally, take the actual lipstick color and apply it to your lip, either straight from the tube or with a lip brush. Throw your lip liner and lipstick in your bag, just in case you need to touch up during the day! Think bold, bright...and beautiful for this summer season for your nails! Sure pastels are always in, but turn it up a hue and go for a bright, bold nail. This season, we're seeing colors we haven't seen in a long while, say the '90s. Like yellow, orange, neon green, YES...we're talking the brighter the better! Have fun with it! Get your color craze on, try out a pretty in pink look with fuchsia nails or go green with bright neon tones. Aqua blue tips can be tricky to wear, but be sure to keep your nails short and clean, with a natural shape to pull of this tricky trend my friend. 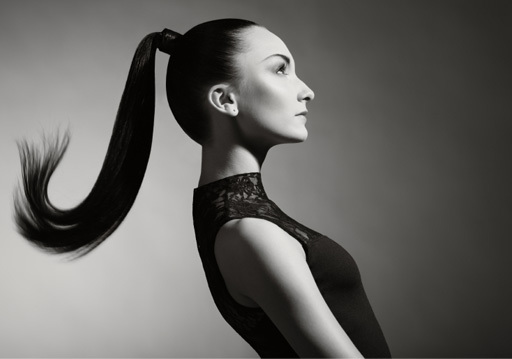 A ponytail can not be classified as a ponytail any longer...especially when there are a tremendous amount of ways to wear one. Whether it be a low pony, high pony, a looped ponytail, side pony tail, sleek, pulled tight, messy, casual, part up, and we think you get the hint, the results are limitless. Ponytails have become increasingly popular, maybe for the ease of hairstyle, but definitely for it's trendiness in such simplicity. For the low key look, you can definitely get inspiration from Nanette Lepore, Marc Jacobs, Jason Wu, Jil Sander, and a favorite of ours, DKNY. Brightly colored streaks are still a big hit, on and off the runway (Gucci was one designer who especially inspired us with this trend), and a trend we'd most definitely want to try. We've seen mostly colors like purple, blue, red, and pink streakin' their way onto blondes, brunettes, and dark haired women, but colored streaks are here to stay for Summer 2012. There are so many ways to streak hair strands too, like for example, just streaking some of your bangs, streaking the 'underneath' section of your hair, or even only the top, or just the bottom tips are pretty prominent lately. An important step in streaking your hair is to first strip the pieces you plan to color, or else, most likely, if your hair is darker than the color you plan to color it (aka if you are not a blonde) you must bleach your hair to get the color to show through. So it's not a one step dye process, but really a two step process, unless of course you are naturally a blonde, then you're a step ahead! What color can you see yourself trying? Get beautiful, bold brows like the pretty Tracy Reese models, and in fact, on lots of the most recent runway shows. If you have been living under a rock for the past year or so, bold brows are a definite trend to try. So how do you try it out and get your own bold brow going? Step 1, put down the tweezers! Maybe a scary thing to you, but don't be! Only tweeze away those strays, but get a eye brow brush and a clear mascara/brow gel to keep those brows ruly when trying to get this look just right. Step 2, fill in the blanks. 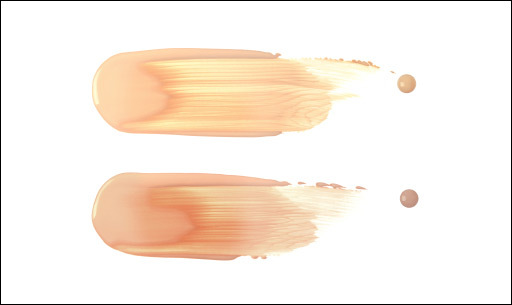 Grab an eyebrow pencil a shade lighter than your nautral brow color and fill in those sparse spots. You can also use an eyebrow gel and powder. Step 3, after filling it all in with gels, powders, eyeliners, what ever it is, take that brush and brush down and upward for a super natural, full, bold brow look. With the summer heat on it's way, it's a wise time to decide whether to use foundation vs tinted moisturizer in hopes that our faces don't melt off mid-day. The worst feeling is probably your foundation melting off of your face in the midst of a heat wave...and that's why we're here to remind you to get ready to make the switch. So, do you stick to foundation in the heat of the summer? Powder or liquid? OR do you skip that step and snag that tinted moisturizer for the season? If your skin type is dry, we say go for the tinted moisturizer. The moisturizer will keep your face free from flaking and will get you that tint of color. If your skin is a mix of oily and dry, you have combination skin, which can go either way. Go for either, the tinted moisturizer or the foundation. If you're feeling more oily in the warm season, carry a powder to lightly brush onto your face to absorb that excess. If you have oily skin, we say stick with the foundation and pat a powder to rid any shine. So, which do you prefer for the summer season? Foundation or tinted moisturizer? 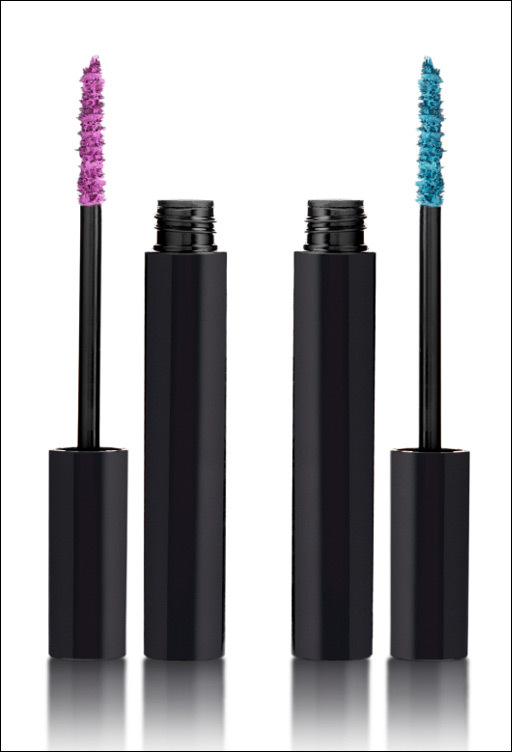 Colorful mascara doesn't have to fall in the 'tacky' beauty trends category, and it shouldn't with these fun ways of going about it the right way. We fell in love with Stella McCartney's models wearing a purple-blue mascara shade that was fun, flirty, and gave a super youthful pop of color! It was refreshing, actually, and seems super easy to achieve. It's important to know how to choose the right color and which to steer away from. Here are the tricks of the trade! Enjoy! Don't overdo your lips and eye makeup with this look!